Raw managed to deliver a good episode coming out of the Elimination pay-per-view and had some surprises in store which surely gave the fans much to cheer about. While there were surely some questionable bookings throughout the night, with a repeat match between Baron Corbin and Braun Strowman sitting right at the top of the list, there were quite a few good things that happened during the episode which ended the night on a high. With the high-flying action that Finn Balor and Ricochet provided, to the segment involving the new Women’s Tag Team Champions and possibly their first challengers, Raw had some good moments which can help increase the ratings of the show. Take a look at the 3 good things that happened this week’s episode and share your favorite moments from the show in the comments below. Raw has been deprived of some great tag team action for some time. Since the emergence of many makeshift tag teams in the past year or so, the Raw tag team division has taken a great hit which has also lowered the value of the Raw Tag Team Championships. The Revival was WWE’s last hope at reviving the Tag Team titles, as the duo is arguably the best tag team on the Raw roster today. After a lot of efforts, they finally managed to win the tag team titles and competed against arguably one of the best tag teams the company has seen in recent times last night. That team was none other than that of Tommaso Ciampa and Johnny Gargano who have dominated NXT for a long period in their time together. 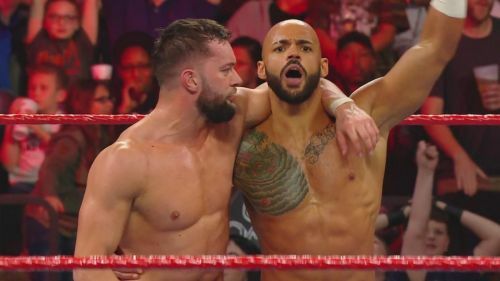 This allowed the WWE Universe to witness an A-grade tag team match on Raw after a long time and this will surely help matters progress better as WWE will want to improve the tag team division of Raw sooner than later.